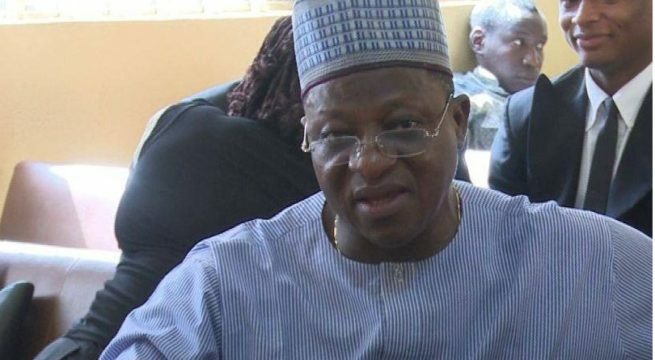 Mr Joshua Dariye, former governor of Plateau state has sentenced to a 14 year jail term by an Abuja high court. Mr Dariye who was a governor of Plateau state between 1999 and 2007 was charged to by the EFCC on July 13, 2007 on a 23 count charge for money laundering allegedly diverting the State’s 1.126 billion Naira ecological funds. He was today June 12, 2018 found guilty of criminal misappropriation for which he was sentenced to a 2 year jail term and for criminal breach of trust for which he was sentenced to 14 years. Since the charges are running concurrently without the option of fine, he is expected to serve a 14 year jail term. This is second conviction against a former governor within a month. The first was Jolly Nyame, ex-governor of Taraba state.